Our music technology workshops are ideal if you have an interest in electronic music production and composing and will teach you about aspects of modern day composition. Work with experienced and professional composers and producers. Understand Sampling, Synthesis, Plugins and external MIDI equipment. Use equipment and software from Native Instruments, Apple, Ableton and Focusrite. 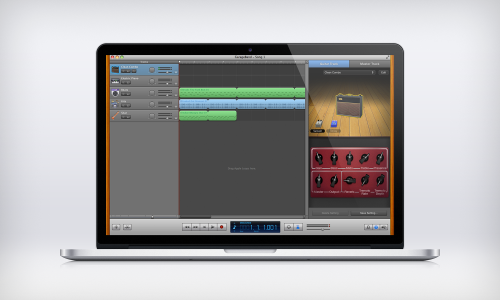 I have found John's help using GarageBand and Logic Pro X on our recently-acquired Macs extremely useful. I am not the most technically minded of people, my previous experience with music technology having always been using PCs and Cubase software, but John has been very patient and understanding with me! It was good having the training in situ and John then coming in at a later date to do a follow-up session with my GCSE students, tailor-made for their requirements, emailing me useful help sheets in advance. We have booked John again in the New Year to do another session with the students on composing music to video clips!